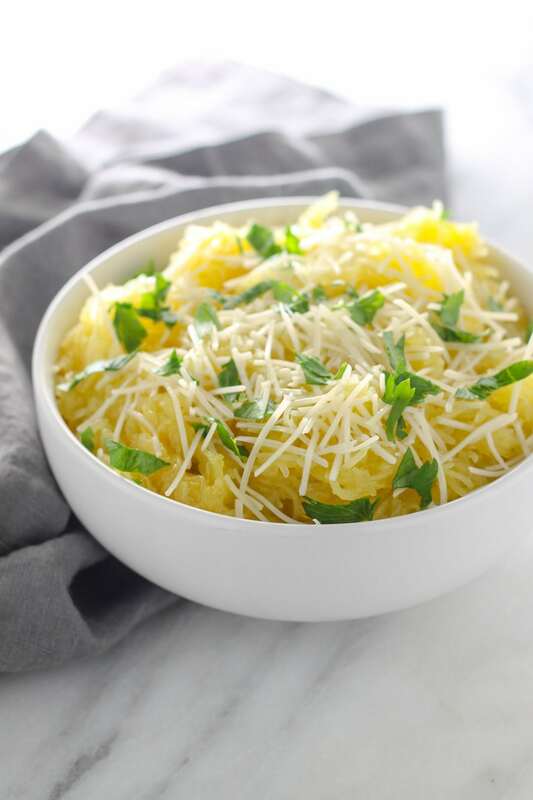 Savory Low FODMAP Spaghetti Squash with Pecorino Romano is a yummy, fall-inspired side dish with only a handful of ingredients. 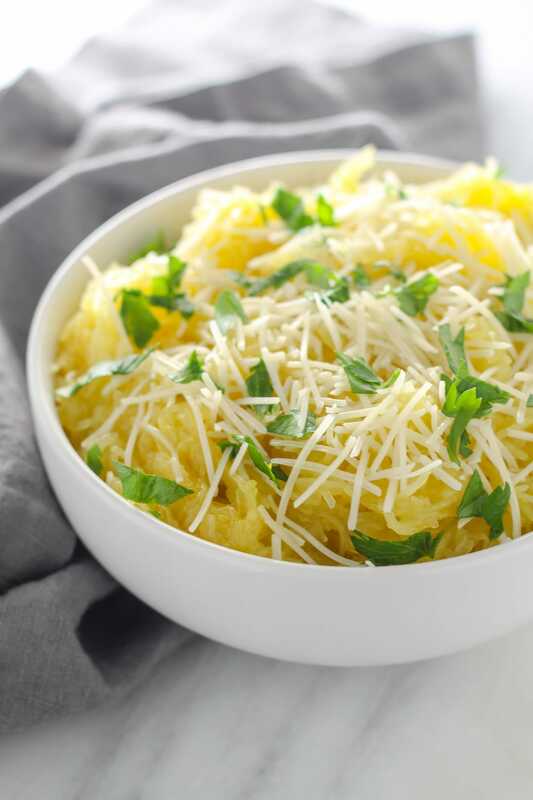 Once cooked, spaghetti squash shreds easily with a fork into “noodles” making this veggie a great pasta alternative. 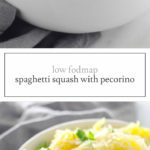 Enjoy spaghetti squash on its own, topped with low FODMAP pasta sauce or in today’s Low FODMAP Spaghetti Squash with Pecorino. FODMAP FYI – A low FODMAP serving per current Monash recommendations is 1 cup cooked spaghetti squash. 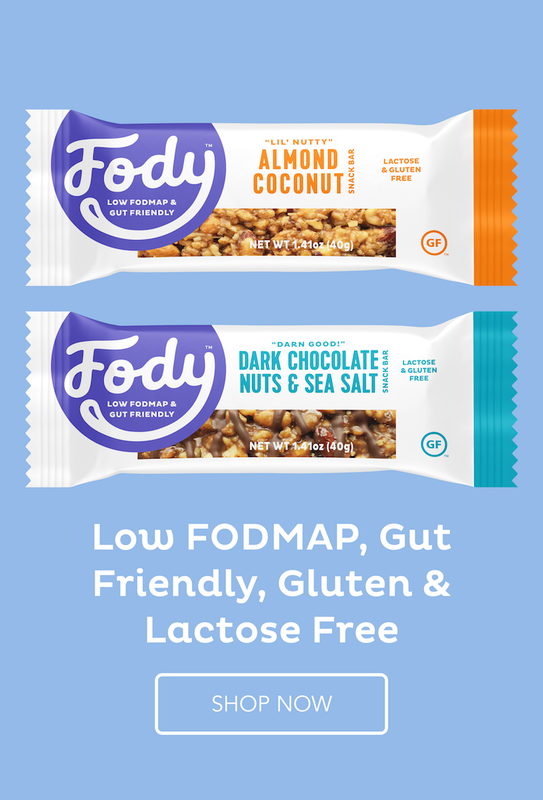 I always recommend checking their app though for the latest data on low FODMAP foods and serving sizes. Cut spaghetti squash in half lengthwise and scoop out seeds. Place cut side down into a baking dish with sides. Fill the bottom with ¼-inch water. Steam-roast squash for 35-40 minutes or until tender. Remove from oven and set aside until cool enough to handle. Using a fork, shred flesh to create “spaghetti”. Set aside. Melt butter in a large skillet over medium heat. Add spaghetti squash and garlic-infused olive oil; gently toss to combine and heat until warm throughout, about 2 minutes. Remove from heat. Season with salt and pepper. Top with pecorino and optional parsley. Serve warm.